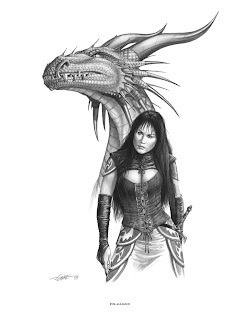 Best Fantasy and Science Fiction: 3 "New" Larry Elmore Prints Available! 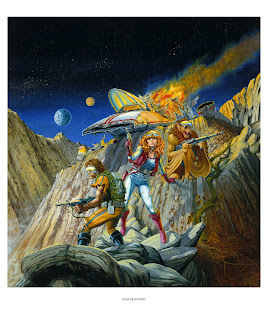 Today Larry Elmore released three new prints: Into The Skie, Star Frontiers, and Evil Alliance. Into The Skie was completed in February 2009, Evil Alliance is unknown with no publish date, and Star Frontiers is from the classic TSR science fiction role playing game. Each will cost you between $25-$350 depending on the size, print type, and limited edition status. Look for my tribute to Larry Elmore in the upcoming weeks. 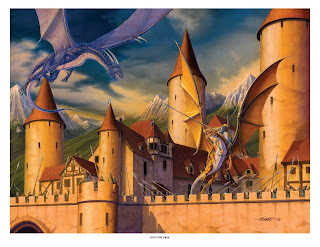 He is one of my favorite fantasy artists and I absolutely love his artwork! Star Frontiers All images in this post copyright Larry Elmore. Neat stuff. I especially like that top one.